Add finely chopped cucumber, onion, tomato & green chilies into mixing bowl. Thanks for stopping by my blog. 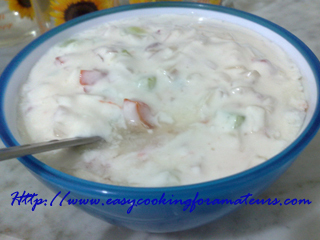 i love Raita, and will have to try this recipe. Thanks for sharing. 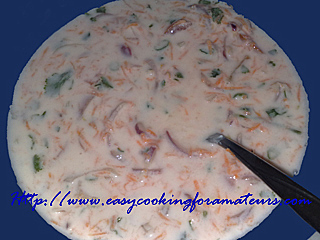 Cucumber raita looks perfect..thanks for visiting my blog..c u soon. I love cucumber salad with yogurt. Very fresh and appetizing!